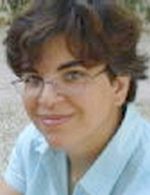 Dr Anastasia Papavasiliou got her PhD from Princeton University in 2002, working on stability questions for stochastic filtering and particle filters. Before coming to Warwick, she taught at Columbia University for a couple of years and spent another year in Princeton, working on efficient simulation methods for multiscale stochastic systems. Stochastic filtering, multiscale systems and, stochastic simulations are still some of her research interests, while recently she has working on applying ideas coming from the theory of rough paths to statistics. Anastasia joined the Department of Statistics as a lecturer in 2005. Parameter Estimation for Rough Differential Equations (with C. Ladroue). Annals of Statistics 39(4): 2047–-2073, 2011. A Distributed Procedure for Computing Stochastic Expansions with Mathematica. (with C. Ladroue). J. Stat. Softw. 53(11), 2013. Coarse-grained modeling of multiscale diffusions: the p-variation estimates. Stochastic Analysis 2010, Springer. Maximum Likelihood Drift Estimation for Multiscale Diffusions, Stoch. Proc. Appl. 119(10): pp. 3173-3210, 2009 (with G.A. Pavliotis and A.M. Stuart). Particle Filters for Multiscale Diffusions, ESAIM Proceedings, 19: 108-114, 2007. Parameter Estimation and Asymptotic Stability in Stochastic Filtering, Stoch. Proc. Appl. 116: 1048-1065, 2006. A Uniformly Convergent Adaptive Particle Filter, J. Appl. Probab. 42(4): 1053-1068, 2005.